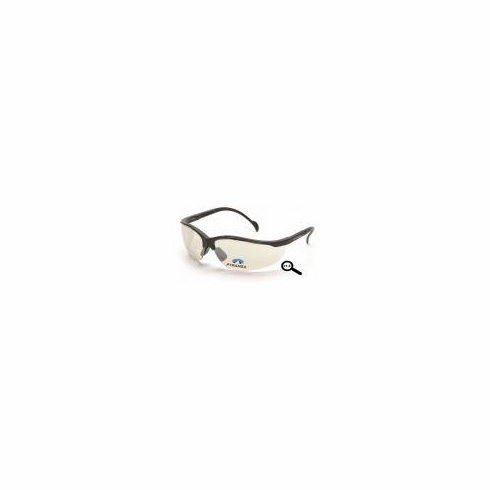 Pyramex, Venture II, Readers, Safety Glasses, Indoor / Outdoor Mirror LensPyramex, Venture II, Readers, Safety Glasses, Indoor / Outdoor Mirror Lens, Item # SB1880R15, Commonly used where it is required to move between indoor applications to outdoor applications. - Commonly used where it is required to move between indoor applications to outdoor applications. - 9.75 base curved lens provides full side protection. - Provides 99% protection from harmful UV-A and UV-B rays. - Nose buds secure the glass and prevent slipping while providing a pillow soft fit. - Strategic placement of lens insert is out of user’s direct line of vision.